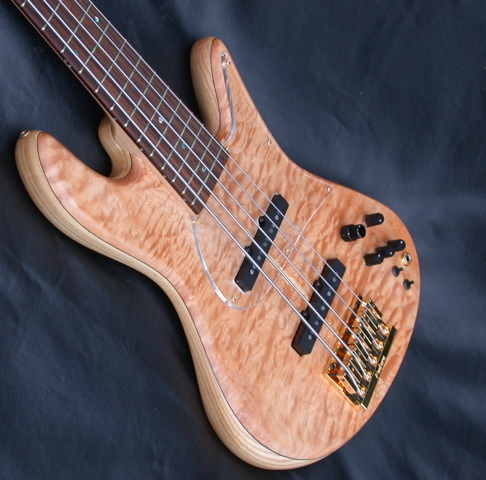 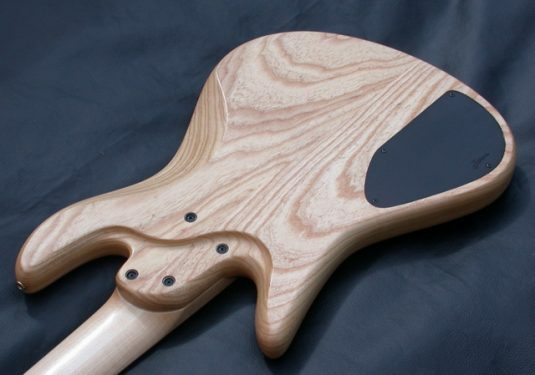 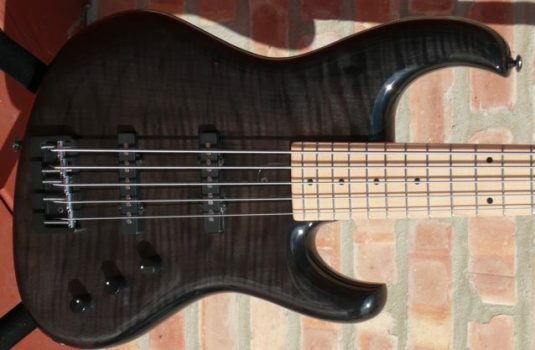 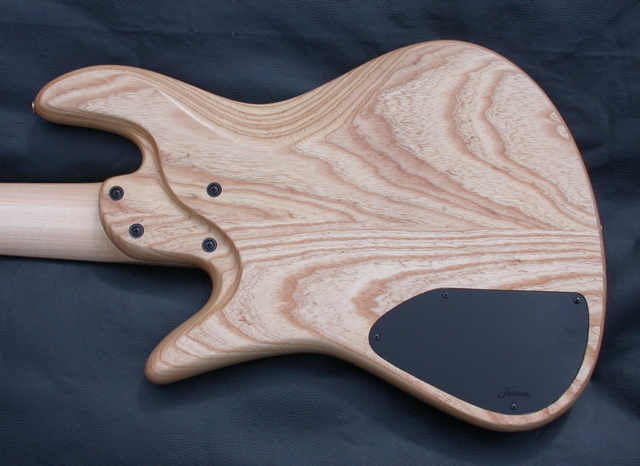 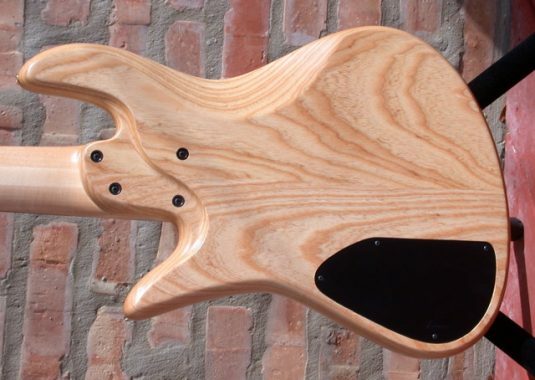 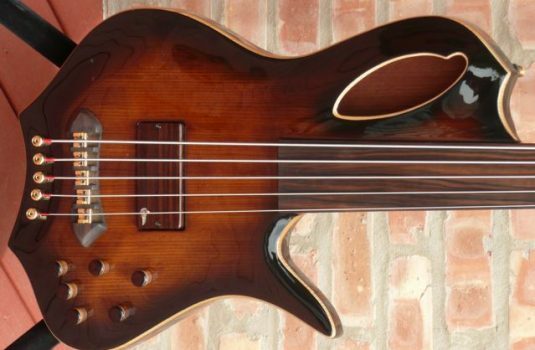 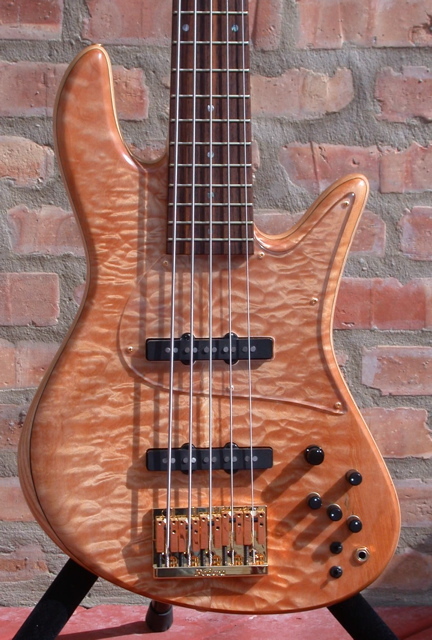 Here we have a fine example of a Fodera bolt-on bass. 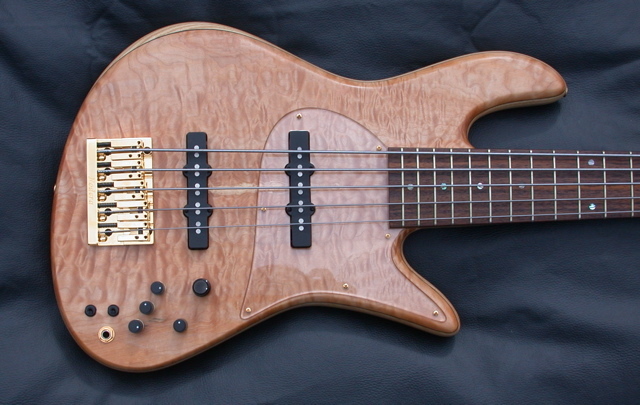 Kind of like a Fodera take on a ’70’s JB. 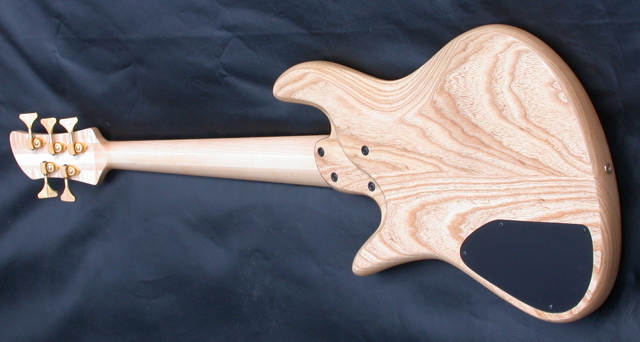 34″ scale Maple neck with East Indian Rosewood fretboard ,with abalone dots. 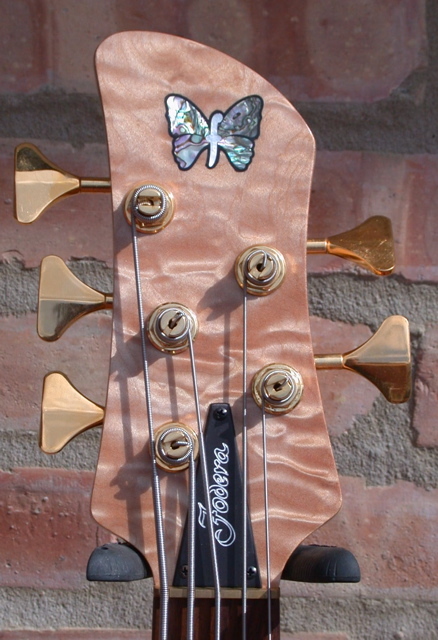 Note the Extended low B response, headstock , an ingenious idea designed to stretch out and tighten the low B response. 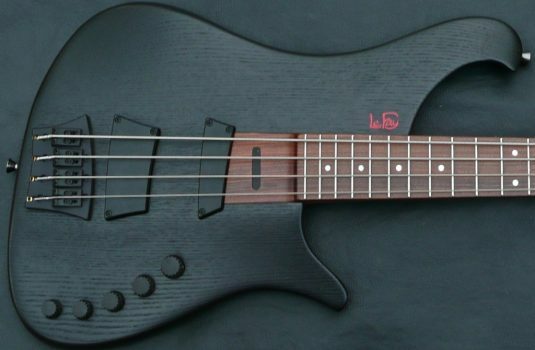 Does it work ? I can tell you that the B IS string and focused – as a result of the headstock ? 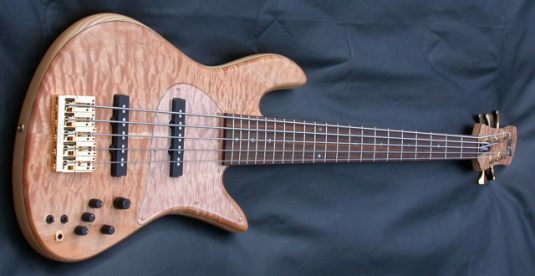 Not string. 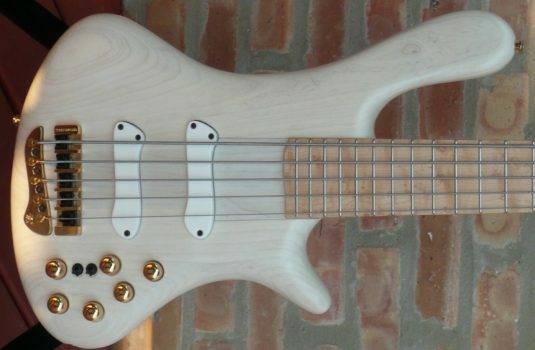 The preamp is the renowned Pope 3 band.